Anna’s room, with its queen sized four poster bed, may be romantically lit by flickering firelight from the gas stove while you snuggle under the covers. The en suite private bath with antique claw foot soaking tub with shower is conveniently equipped with hair dryer and lighted magnifying make up mirror. 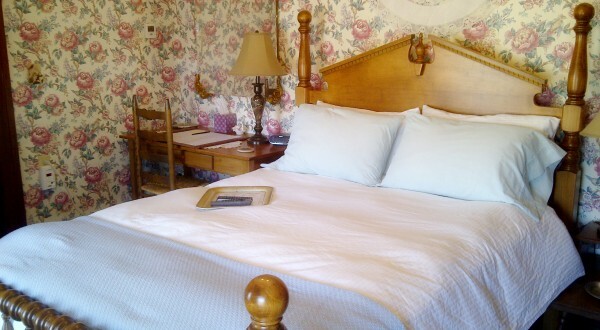 Desk, Wi-Fi, DVD player, and Cable TV make’s Anna’s room your home away from home on those long business trips.